In any auto wreck, tractor trailer wreck, or other type of traumatic injury caused by a negligent actor, one of the largest potential losses is “Loss of Earning Capacity.” Loss or Impairment of future earning capacity is an element of damages in a personal injury action. Earning capacity refers not to actual earnings, but rather to the earnings that a person is capable of making. This area of loss is to be carefully differentiated between past “Lost Wages” and what cannot be earned in the future. Many attorneys may mistake a basis for “Loss of Earning Capacity” as the prior lost wages proven, and rely upon those prior lost wages alone. Tennessee law shows that such a basis is clearly not sufficient to establish a judgment for Loss of Earning Capacity. 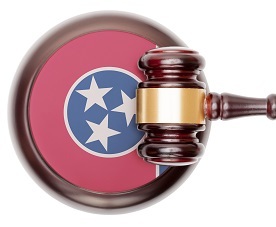 In the recently released opinion, Hyde v. South Central Tennessee Development District, the trial court awarded loss of earning capacity in the sum of $169,041.60. 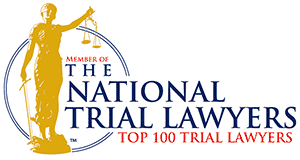 This case stemmed from an automobile crash with a governmental vehicle, and was therefore tried as a bench trial (or trial by a judge only; no jury) in accordance with the Governmental Tort Liability Act (“GTLA”). In Hyde, the plaintiff argued that the lost earning capacity was easily calculated based upon the previously identifiable, quantifiable, prior lost earnings. Ms. Hyde had testified, and had evidence to support, that the plaintiff was unable to work 8-10 hours per week as compared to her pre-wreck work abilities. There was testimony at trail that supported the plaintiff had a 5% lower back permanent impairment as a result of the injuries sustained in the collision with the defendant. The defendant argued that a simple mathematical calculation extended to a yearly basis was error, as opposed to considering the proper items in future loss of earning capacity. The extent of an injured person’s loss of earning capacity is generally arrived at by comparing what the person would have been capable of earning but for the injury with what the person is capable of earning after the injury. If the injury is permanent, this amount should be multiplied by the injured person’s work life expectancy, and the result should be discounted to its present value. The injured party must first prove with reasonable certainty that the injury has or will impair his or her earning capacity. Then, the injured party must introduce evidence concerning the extent of the impairment of his or her earning capacity. The proof concerning impairment … is to some extent, speculative and imprecise. However, this imprecision is not grounds for excluding the evidence. The courts have found competent and admissible any evidence which tends to prove the injured person’s present earning capacity and the probability of its increase or decrease in the future. Thus, the courts have routinely admitted evidence concerning numerous factors, including the injured person’s age, health, intelligence, capacity and ability to work, experience, training, record of employment, and future avenues of employment. In the Hyde opinion, the court held that the trial court “did not make a finding relative to the extent of any impairment of Ms. Hyde’s future earning capacity, a finding required by Overstreet." This opinion and instruction is arguably vague and confusing. Overstreet hold that “[T]he extent of an injured person’s loss of earning capacity is generally arrived at by comparing what the person would have been capable of earning but for the injury with what the person is capable of earning after the injury.” If the injury is permanent, this amount should be multiplied by the injured person’s work life expectancy, and the result should be discounted to its present value.” Overstreet does hold that the “injured party must introduce evidence concerning the extent of his or her earning capacity.” Courts have routinely admitted evidence concerning numerous factors, including the injured person's age, health, intelligence, capacity and ability to work, experience, training, record of employment, and future avenues of employment. Impairment of earning capacity is not necessarily measured by an injured person's employment or salary at the time of the injury. The Hyde opinion also goes on to later say that it affirms the finding of permanent impairment as such is supported by the law and evidence in the case, and that the doctor testimony supported the holding that Ms. Hyde has a five percent impairment to her lower back and that the impairment would interfere with her ability to engage in activities. These findings tend to support a finding of the supporting factors under Overstreet. The Tennessee Court of Appeals seems to be walking a fine line here on what type of testimony is required to establish Loss of Earning Capacity. Here, the court admits that the plaintiff adequately proved that she had an injury to her low back as a result of the negligence of the defendant. Her back impairment is permanent. Her permanent back impairment interferes with her ability to engage in activities. The plaintiff testified that it interfered with her ability to do her job fully and completely. She sustained lost wages, and the court used that as a measuring stick to compute future earning capacity based upon her life expectancy. Stan Davis is the plaintiff’s attorney and a valuable friend of mine. Judge Joe Binkley is one of the most respected judges in the State of Tennessee. We have the Tennessee Court of Appeals saying great lawyers and a great judge got it wrong in computing loss of earning capacity, but don’t say what is deficient in their opinion. This opinion will need to be clarified by perhaps the Tennessee Supreme Court to give better guidance in future cases. Perhaps the court will allow subsequent proof by the plaintiff on a reduction to present day value. I will be following the resolution of this case closely and report how this pending question of law.